I’m pretty sure I could come up with at least a hundred different reasons why one should visit Italy. This is not a difficult list to come up with, but for the sake of space and brevity I limited the list to ten really good reasons to visit. It seems as though visiting Italy is a bucket list entry for a lot of folks and my job here is to convince you to go so you can cross this one off of your list. Italy certainly does have much to offer: spectacular cities, ancient ruins, wonderful museums, soaring mountains, great beaches, and beautiful natural scenery. But so does any number of other European countries, so we need uncover what makes Italy so unique and worthy of your hard-earned dollars. There is really no other city quite like Rome in the world. While Rome wants to be a modern 21st century city, it is desperately trying to keep it historical ruins and monuments from crumbling. The city is really one large archaeological dig that continues to discover its 2,800 years of history. 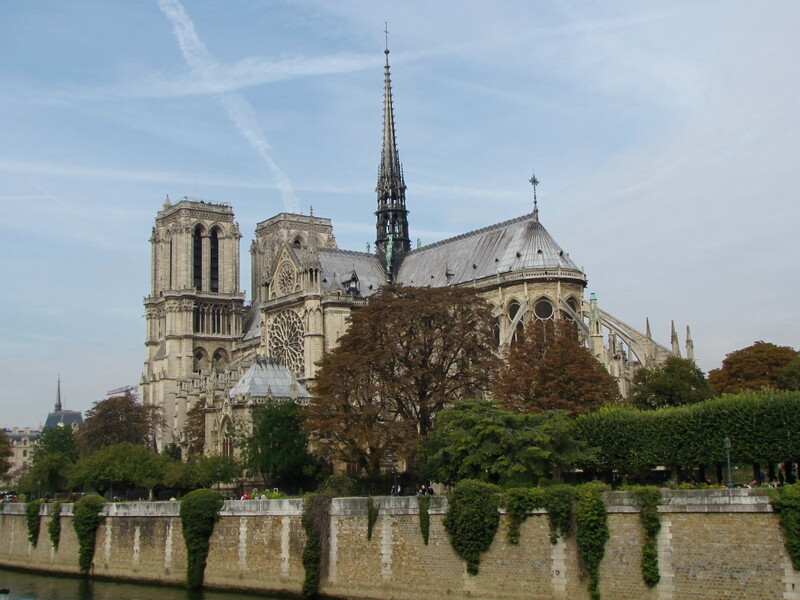 And preserving its past continues to be a monumental task for this city of 2.8 million people. 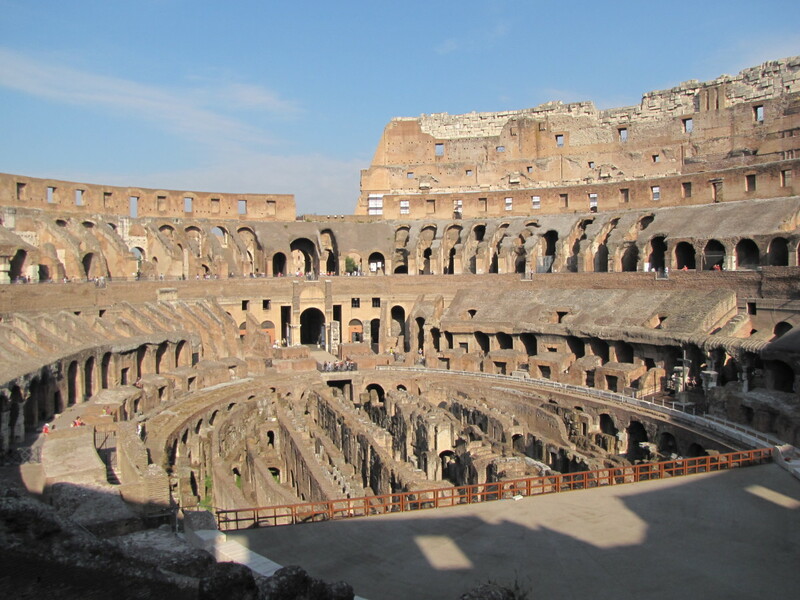 To be able to walk through the Colosseum and the Roman Forum, where the likes of Romulus, Julius Caesar, and Nero once ruled, is a walk back in time. 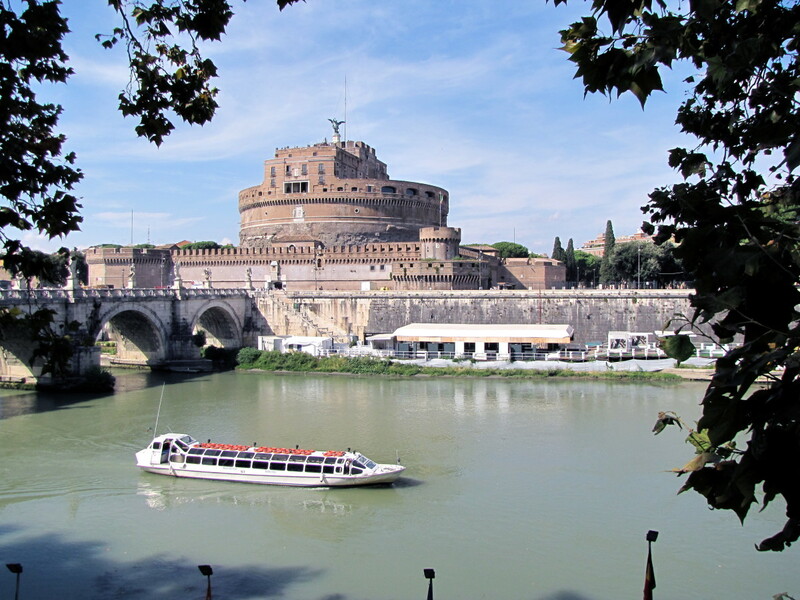 If you love history, architecture, museums, great food, shopping, historical monuments, and great gelato, then head to Rome. 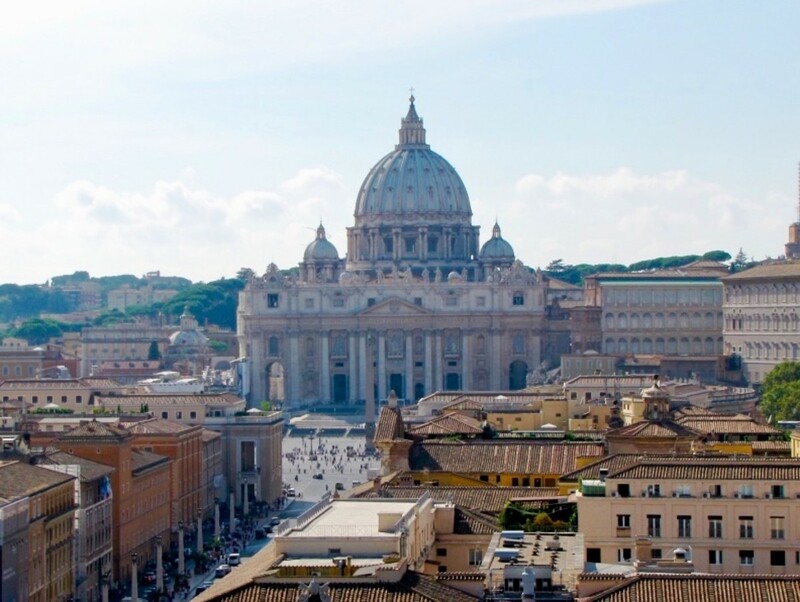 As an added benefit to any visit, you get to also visit Vatican City, which is an amazing destination in its own right. These incredible ancient ruins and monuments might not last forever, so start planning a visit now. Okay, the truth be told about Venice is that it’s old, sinking into the lagoon, floods occasionally, and sometimes smells. What other city on this planet can claim a list like this and still be one of the most sought after destinations in the world? Maybe everyone wants to visit Venice before it disappears into the Adriatic and becomes the lost city of Venice? 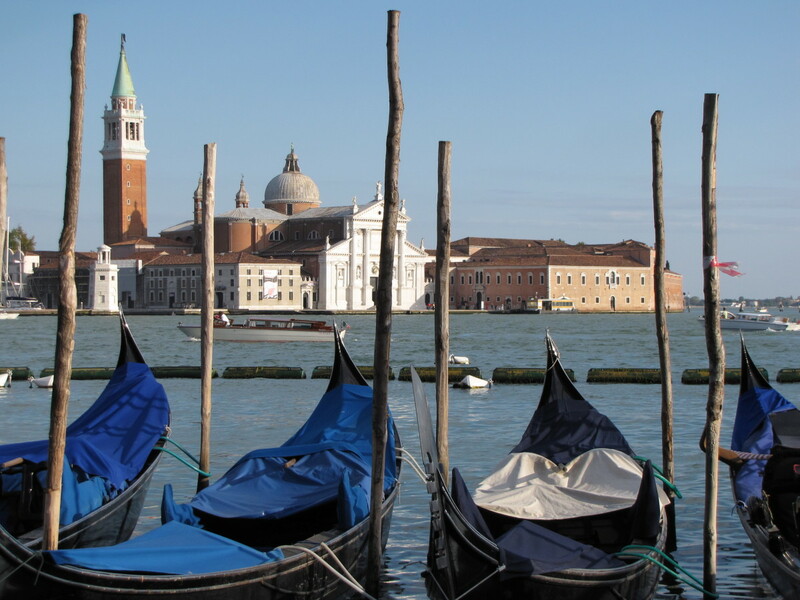 In all my travels, I've had only two “wow” moments in my life: The first came when I saw the Grand Canyon for the first time, and the second came when I stepped onto the plaza from the train station into the wonderful world of Venice. Did I mention that it’s also colorful, full of life, has amazing churches and museums, great seafood, amazing shopping, and is just one of the most fun places you’ll ever visit? Okay, so the top three are Rome, Venice, and Florence. There’s really no mystery here. If you were to ask visitors to Italy what their favorite Italian city was, I would venture to guess that for many it might be Florence. Florence is just right in so many ways. 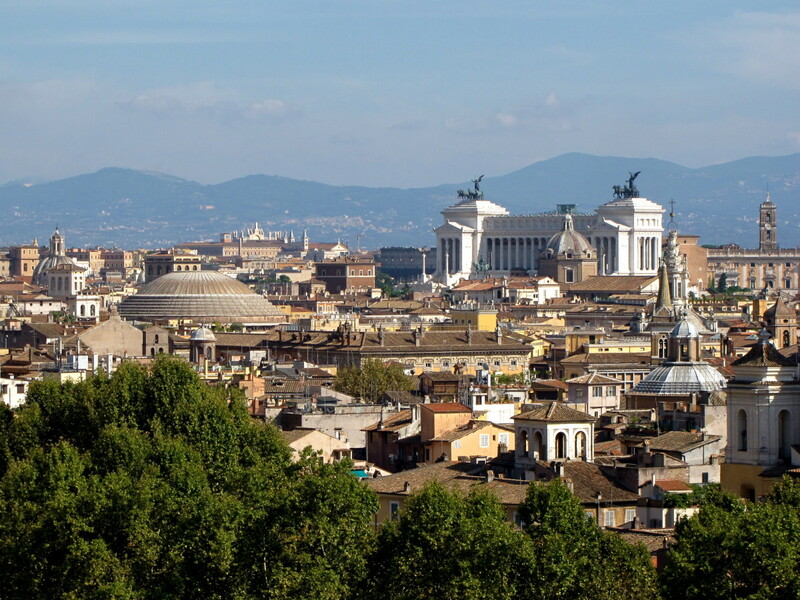 The city is just the right size to make it one of the most walkable cities in Italy. 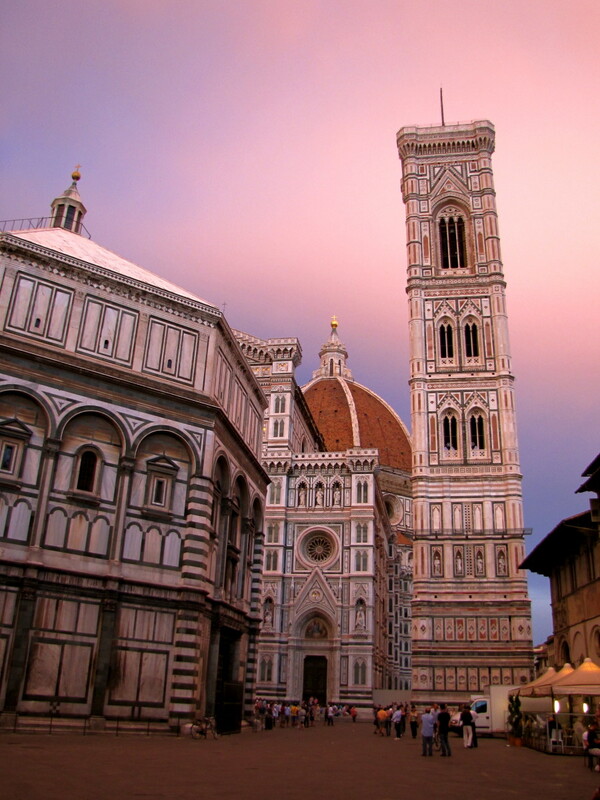 The centerpiece of Florence is without a doubt the magnificent Basilica di Santa Maria del Fiore, otherwise known as the Duomo, and it should not be missed. This city is the rightful birthplace of the Renaissance and is loaded with wonderful art, architecture, and some of the finest museums in the world, the Uffizi and the Galleria dell’ Accademia. Florence truly is of the most beautiful cities in the world. 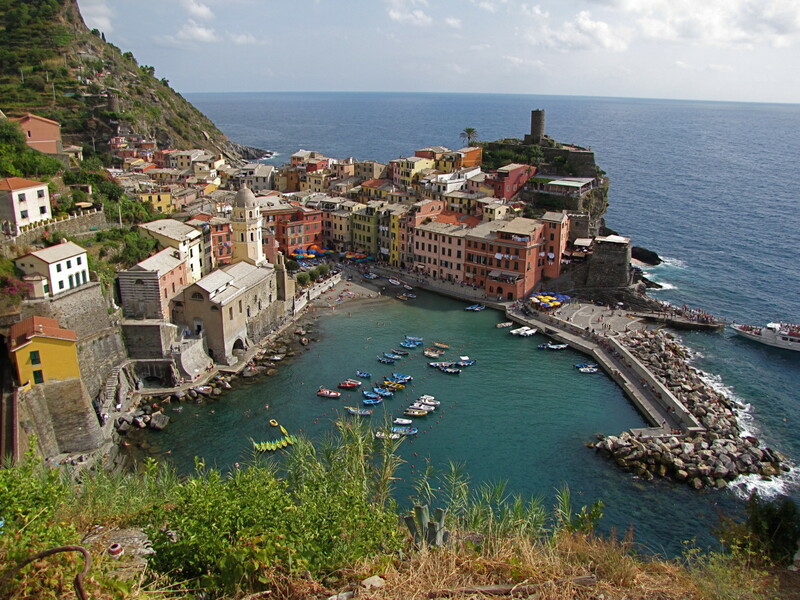 While many people will argue that the Amalfi Coast should appear on this list, I could not resist placing the Cinque Terre region here in the number four spot. 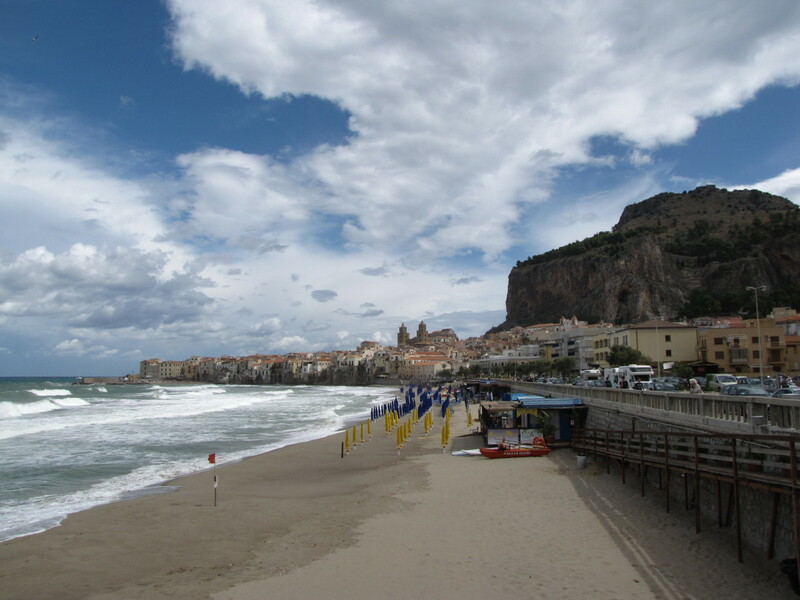 Virtually unknown to Americans twenty-five years ago, this beautiful coastal region of Italy is simply spectacular. Its five villages are all unique and connected by a network of trails that vary in difficulty and distance. 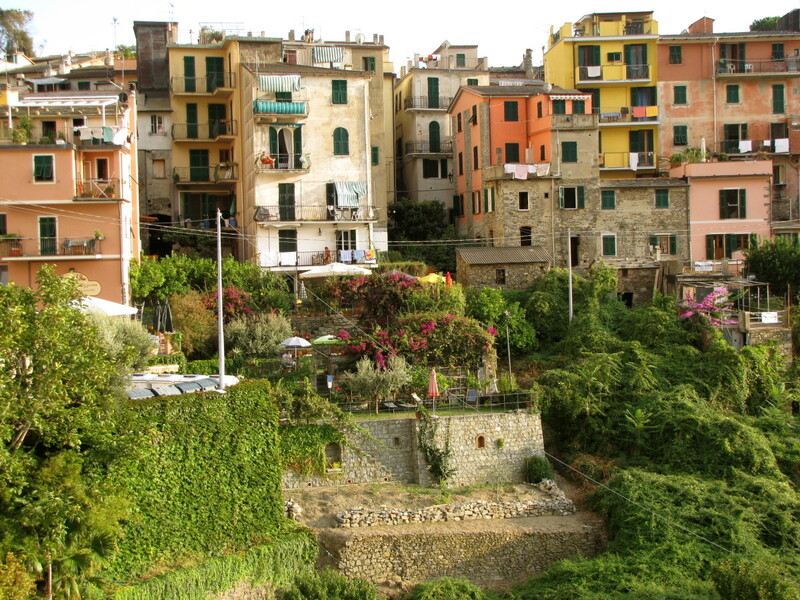 And if hiking is not your thing, don’t despair— the local train connects all five villages, as does the local ferry system, except for Corniglia, which is perched high up on a cliff above the sea. The pace here is laid back and that is how the locals prefer it. There are no resorts, only B&Bs, apartments, and small hotels. And if you love seafood, then you have certainly come to the right place. Tourism, fishing, and farming the terraced hillsides are the only industries here. If you want to see one of the most beautiful coastlines in the world, then add Cinque Terre to your list of must-see places. 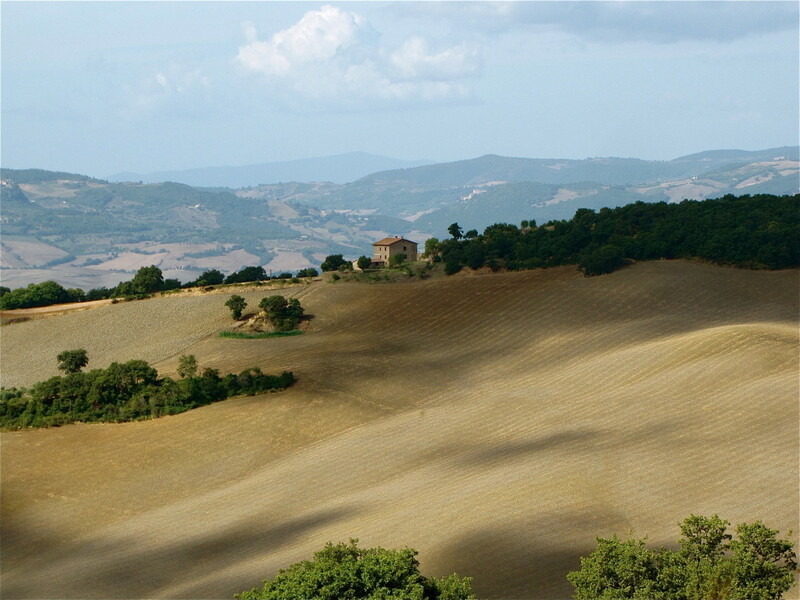 Tuscany encompasses a pretty large area of central Italy, so I’m going to narrow this down to the Val d’Orcia region. Why? Because of its beautiful rolling hills and wonderful medieval hilltop towns. This area of Italy is pure heaven. 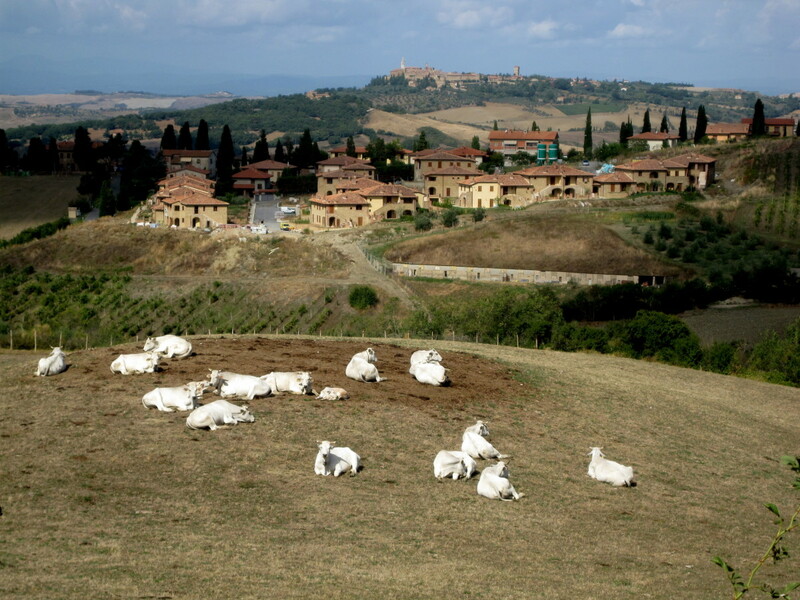 Stretching from Siena in the north to Montepulciano in the east, and including Pienza, Montalcino, and Monticchiello, this area makes for a great road tour. Get lost on the cyprus lined back roads of the Val d’Orcia and you are bound to have your breath taken away by the beautiful rolling landscape of this region. Find an Agriturismo, rent a car for a few days, and discover this region of Italy that is famous for its wine and photographic beauty. 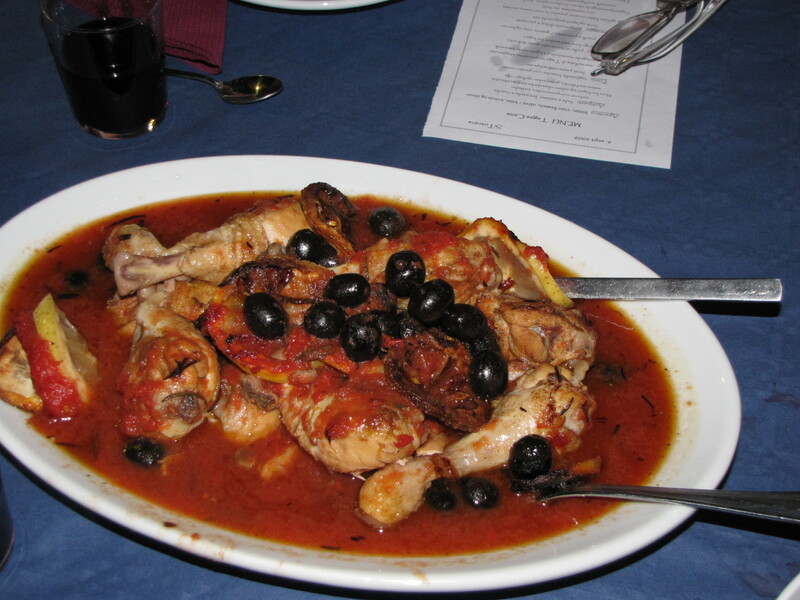 A big part of the whole Italian experience is without a doubt the food. I’m not sure I’ve had a really bad meal in Italy and this includes stopping on the autostrada at rest stops for a quick bite. The different regions of Italy all have their own specialties but no matter where you are, you will find wonderful cuisine. And if you get an opportunity to have a home cooked meal you should jump at the chance, as these have been some of the finest meals we have ever had. Many of the agriturismos will host a dinner for their guests, so if the opportunity presents itself, take advantage of it. From the wonderful seafood of Venice, Cinque Terre, and Sicily to the homemade pasta of Tuscany, you will not be disappointed with the food in Italy. 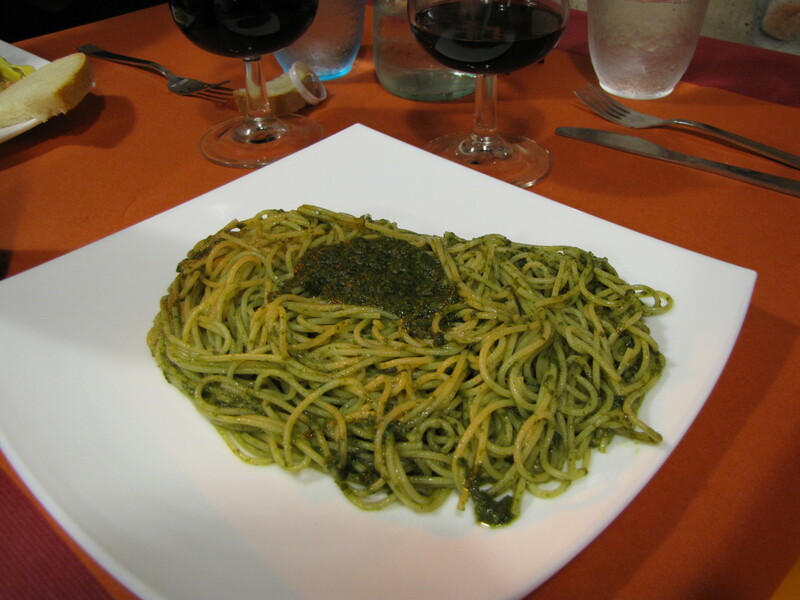 Sample the wonderful salami, prosciutto, and cheeses of a typical antipasto and by all means try a pesto pasta dish in Cinque Terre, which is the birthplace of this basil, garlic, pine nut, and olive oil creation. Have a hankering for pizza? No problem. 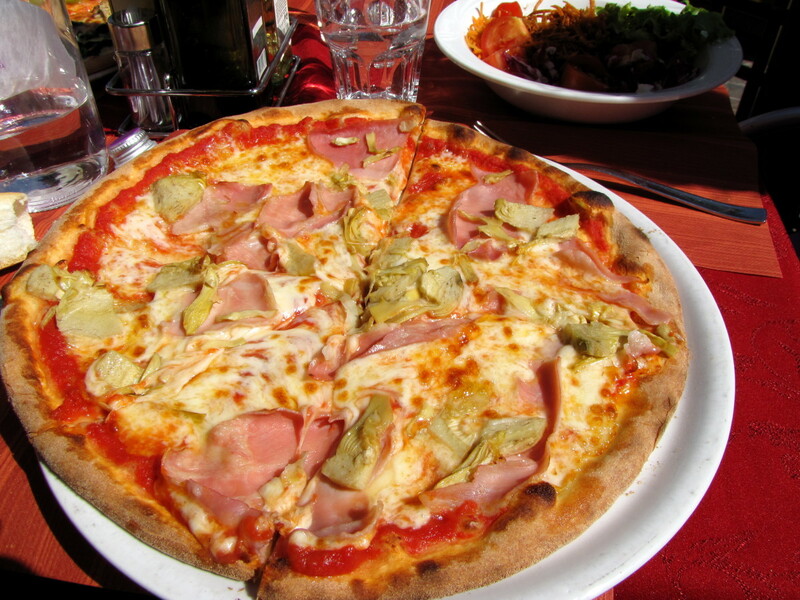 Traditional Neapolitan pizza can be found throughout the Campania region. If you find yourself in Sicily, be sure to try an arancini, a wonderful concoction of mozzarella, tomato sauce, and meat wrapped inside of a fried rice ball. 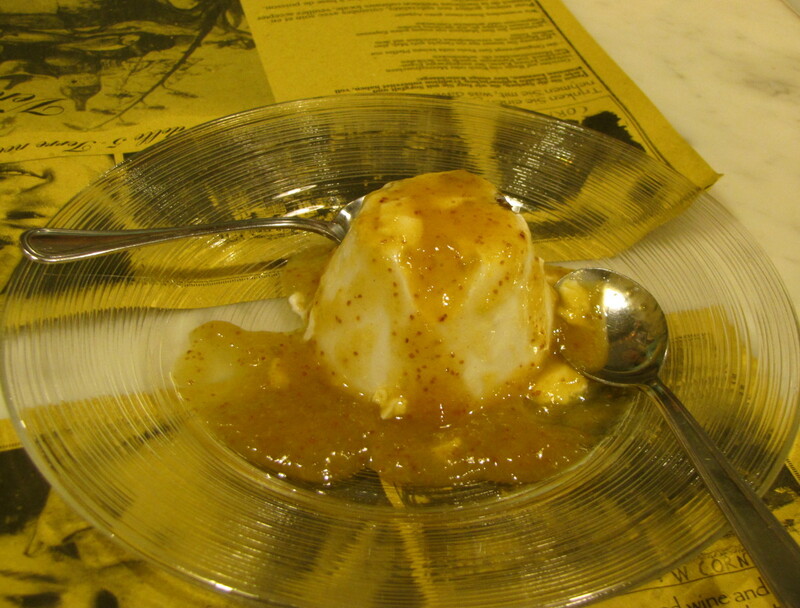 And for dessert, why not try a tiramisu or my all-time favorite dessert, the panna cotta with fig sauce? And when you need a quick snack to tide you over, don’t forget about the gelato, which I could eat every day, no problem. And the wine. No Italian meal would be complete without a good house wine. There is so much wonderful locally made wine in Italy, so be sure to sample them all. 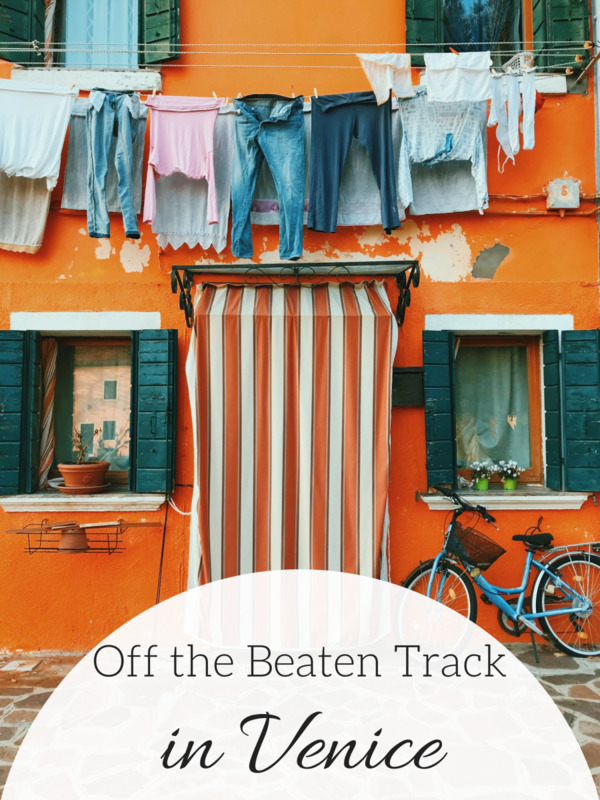 Sometimes Italians get a bad rap for their impatience with tourists and their notoriety as the pickpocket capital of the world. I have personally experienced none of this and to be honest, I have found the people of Italy to be a warm and hospitable bunch. Don't get me wrong, there are unscrupulous types who will pick your pocket if the opportunity arises, but this can be said of almost any city. Just be sure to always be aware of your surroundings. Our many great experiences with the locals are some of the most wonderful memories that we have. From the little Italian man who invited us into his home even though he spoke no English to show us his pictures of the local church that we were photographing, to Irene, the wonderful owner of a small trattoria in Cortina d’Ampezzo who absolutely made our day, we have had nothing but good experiences. To help in conversing with the locals, learn a little Italian, even if it’s just a few key phrases to help you engage in conversation. They are sometimes just as curious about us as we are about them. Often overlooked by visitors for the more popular destinations farther north, Sicily is a world of its own and is a great reason to visit Italy. With an extraordinary combination of Greek temples, Norman churches, Roman mosaics, and classic Baroque towns, Sicily is a melting pot of cultures reflecting thousands of years of foreign occupation. 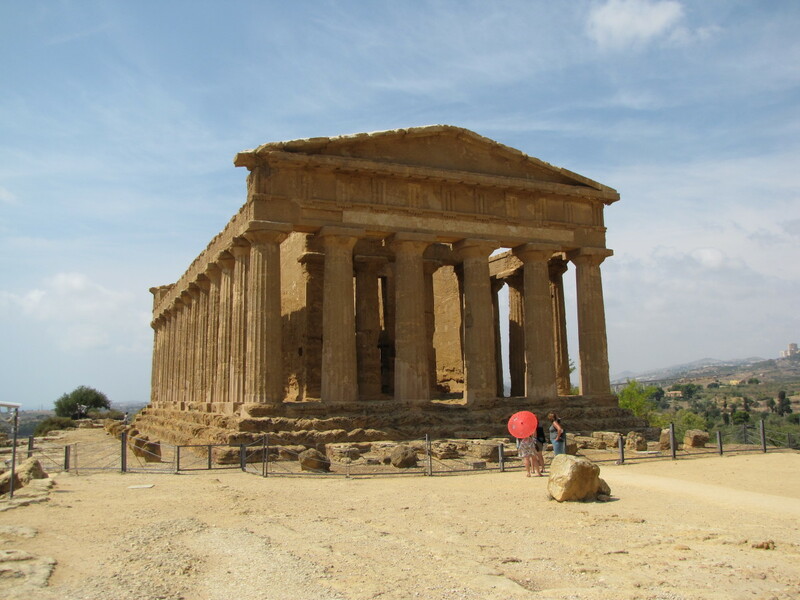 From the beautiful scenery of Taormina to the wonderfully preserved Temples of Agrigento and the magnificent Cathedral of Monreale, Sicily has so much to offer those who venture to the island. And don't forget about Mount Etna. 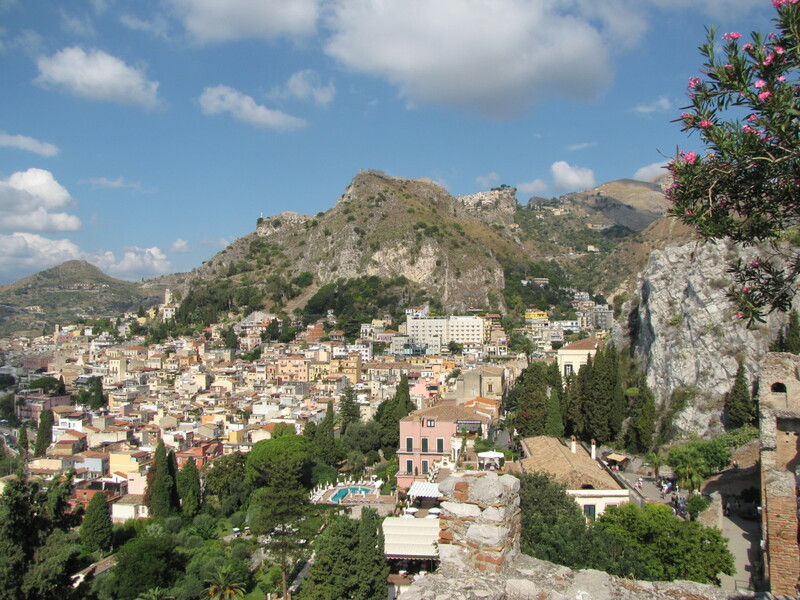 This massive, very active volcano dominates the landscape on the eastern side of Sicily and makes for a great day trip from either Taormina or Catania. The mountains and lakes might not be the first thing that come to mind when considering a visit to Italy but they are reason enough to start planning that trip. From the stunning Dolomites in the northeast to the Italian Alps in the north, this is a playground for those of you who love to hike, bike, and ski. 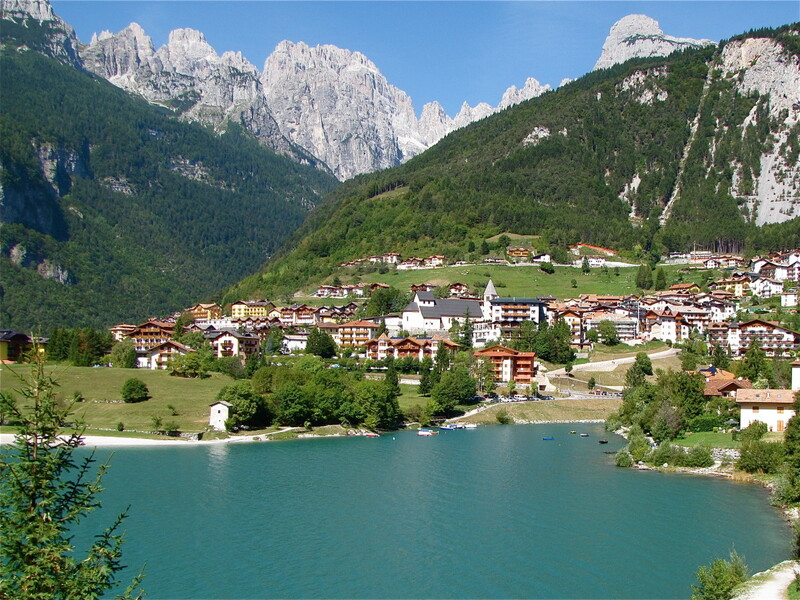 And dotted among the valleys of these majestic mountains are some of the most picturesque lakes in all of Italy. Drive the Grande Strada delle Dolomiti (Grand Dolomite Highway) for an unforgettable trip on one of the world’s most scenic roads as you traverse the Dolomites from Cortina d’Ampezzo to Bolzano. Northern Italy is also home to some of the most scenic lakes, including Lake Como, Lake Maggiore, and Lake Garda. 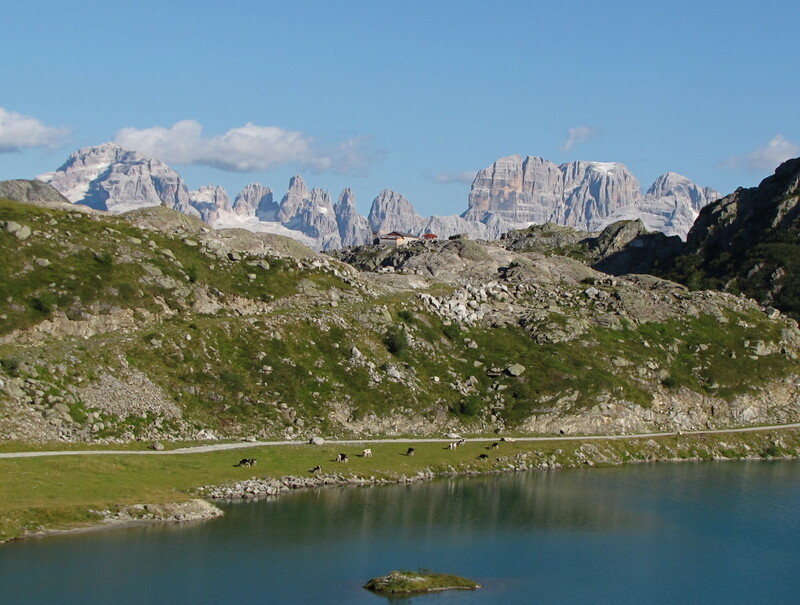 To experience all of the natural beauty that Italy has to offer, head to the mountains and lakes in the north. Most people never consider a trip to Italy because they assume that it will be much too expensive. 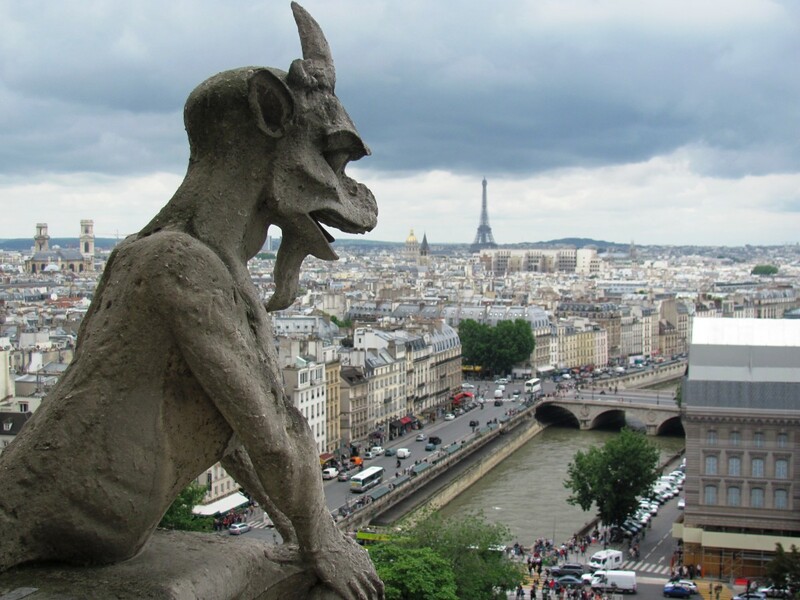 While travel in Europe in general can be expensive, it doesn't have to break the bank. There are a number of strategies you can use to help defray the cost. For starters, it is always cheaper to travel in the off season or at least the shoulder season. It you are traveling when everyone else is, then demand is high and you are going to pay top dollar. Accommodations run the range from outrageous to reasonable. The key is to find those hidden gems that offer charm and comfort while not emptying your wallet. 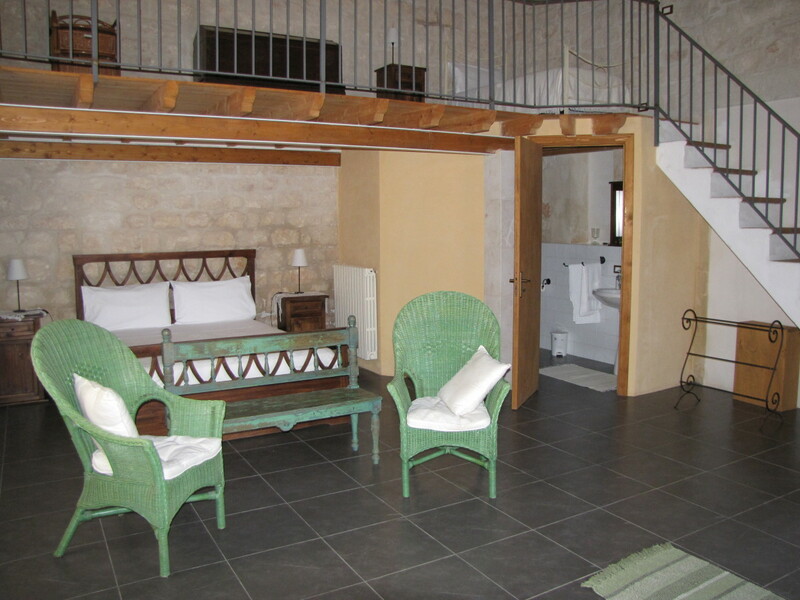 This takes some planning and work but trust me, you can find wonderful accommodations in Italy for under 100 euro per night. 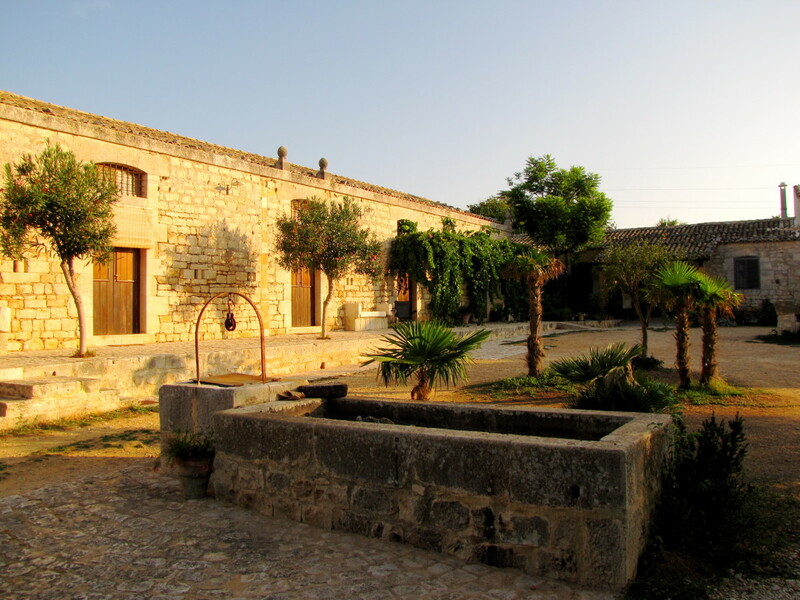 Find a highly rated bed & breakfast or stay in an agriturismo and you will get a more authentic experience than you would in a large hotel or resort. So there you have it, ten really good reasons to go. Decide what interests you the most, start planning, and head to that particular region. I should add here that travel within Italy is very easy as they have a great train system (Trenitalia) that connects all of the major cities and regions. The trains run fairly often, are reasonably priced, and very punctual. One final word of caution before you go: Please do not try to see everything in a single trip. Visitors who run through in a desperate attempt to see everything are bound to miss out on the little things that make it so special. Take your time and be sure to stop and take it all in, you may never come this way again. I've given it my best shot! Have I convinced you to consider a trip to Italy? Already been, but can't wait to return. Already been, no reason to return. Would love to go someday. 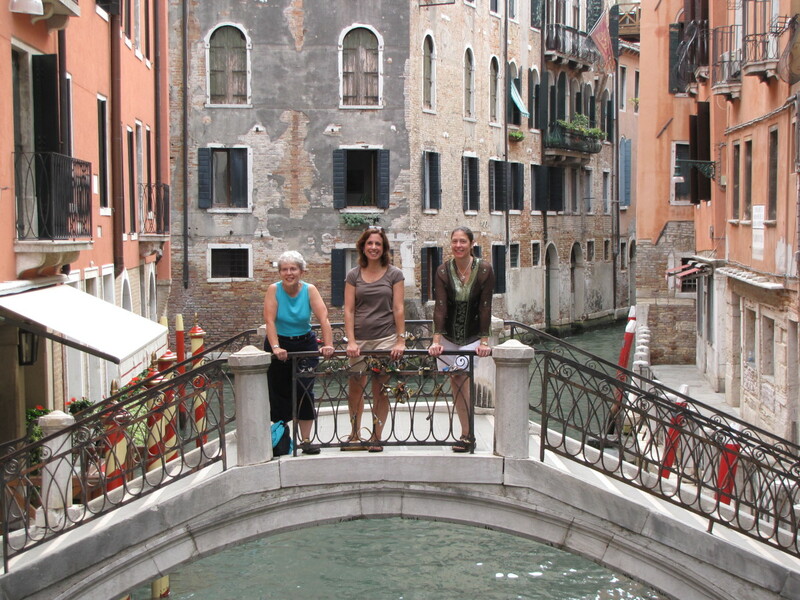 Do you think it is a good idea to make a trip to Italy into a family experience? Absolutely. 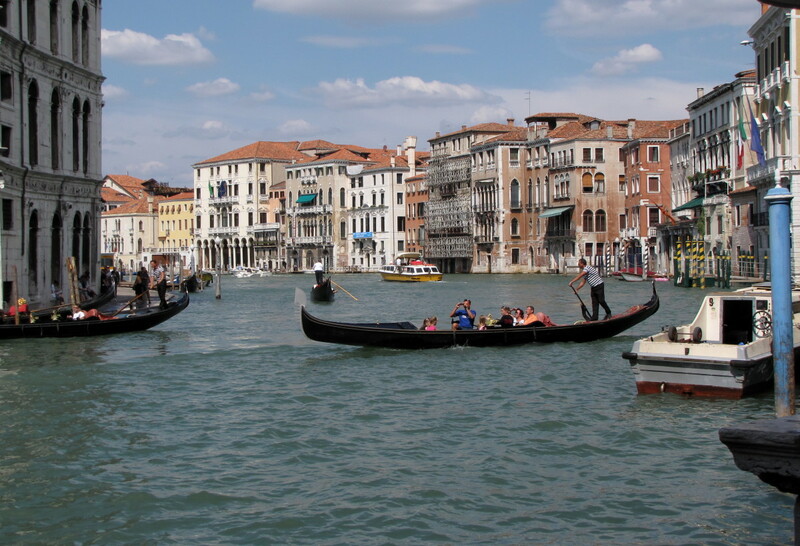 A trip to Italy can be a wonderful learning experience for kids, and also a lot of fun. Of course it might depend on the ages of your kids, but there is something for everyone when visiting Italy. Thank you Daniela. At some point we will definitely get to Pescara, Abruzzo. It looks and sounds wonderful. you have to come and visit Abruzzo, Pescara: sea, mountain, lake, rivers....food, wine,what else? If you plan a trip around here you are welcome. thank you so much for making this list. I currently live in japan and it really helped me to get my work finished which I was doing for my elementry school. I went to italy a few times and loved it. Well as Italian and a italy traveller.. I have to say that true Italy is on thousand hidden places unknown to tourists and most italians too. And every time i discover one of these places i don't imagine to live in other places. And yes. Food is amazing. Thank you Bill! I certainly agree, I've been to many countries but Italy has a certain hold on me! I hope I do too. Hi Shizette. Thank you and welcome to HubPages. There is no where else quite like Italy. After our first visit we were addicted. Hope you get back there soon. Ciao. Grazie mille for this article Bill! I agree with you - Italy is indeed unique. Having lived in Italy and visited many parts myself, I can honestly say it is the country I feel most 'at home' in, not just because of the fantastic culture, ancient architecture, art, history and food, or the fact that I was married in Italy, but also because the people are warm and welcoming in (most) places that I have been, I just hope I am able to visit again soon! Thank you Cedric. You will never regret visiting Italy. Have a great day. Lovely pictures and write-up. I feel Italy beckoning. Hi Mary. We loved Sicily. We didn't spend six weeks there but just enough to know that we must return someday. Thanks for stopping by, have a great week. Italy always draw us back and Sicily is our favourite place. We spent 6 weeks there and enjoyed every bit of it. Thank you Ketty. Italy is wonderful and has so many amazing sites to visit. I could spend a lifetime exploring Italy. Thanks for stopping by, have a great day. Really love all the photos! They make me want to visit Italy right now! Thank you for sharing this. Thank you Anna. I agree. I can think of a hundred reasons to visit Italy. Great hub! Hi Kathleen. I have been thinking of updating this hub to include "wine" with the food and to add a bonus eleventh area to include the Amalfi Coast. This is the problem with visiting Italy, just too many wonderful places to visit. Such a problem :). Hope your son and his wife have a great trip. Wow, Wow, Wow! What a delightful travel post. The photos are fantastic. I really enjoyed them, right along with the info Thanks! I would add two more to your wonderful list: the Amalfi Coast and the WINE! Sharing this with my son and his wife who are headed there next month. Thanks for the ideas. Hi Alun. Thank you. I have to agree about Amalfi Coast/Pompeii/Capri. We really loved this area also and look forward to returning someday. 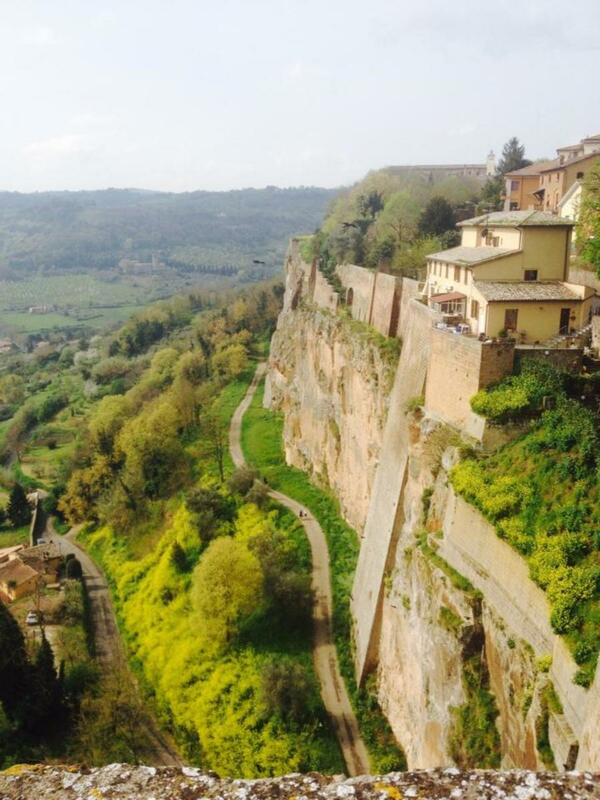 It really is one of the most beautiful regions of Italy. How exciting! I would love to give up my full time work but I am still a few years away. Certainly you must be looking forward to next year. Do you have any other travel destinations in mind? Thank you for the comments on the Florence photos. The view from the top of the Duomo is spectacular. 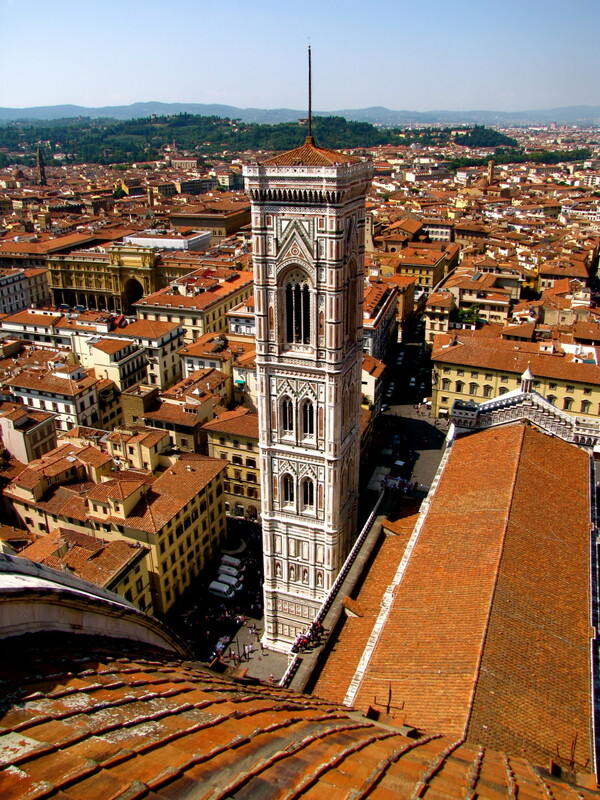 I think you will enjoy Florence, it's a very walkable city and has so much to offer. Have a great week. Bill. As you say, one could come up with plenty more than 10 reasons to visit Italy, but I think you've come up with a pretty good selection. The only one I would have to add to the list would be Pompeii / Vesuvius - a truly historic ruin AND a volcano, plus the Amalfi Coast and Capri nearby :) I remember going there as a child and would love to go back. Indeed I will. Next year I'm giving up full time work to hopefully concentrate on writing and travel, and Italy will definitely be one of the first places on my list. Since going there as a child, I've only been once (last year to Venice), so it's definitely time. Haha. My wife and I have discussed spending months there when we retire. We'll see, still have a few years to work here but starting to think ahead to the possibilities. Yes there are many good reasons to live here too! Very nice article, there are so many reasons to visit Italy! We have not been to Africa yet but hope to make it there in the next few years. I like the idea of a self guided safari followed by two weeks in Italy on the way home. What a trip! I look forward to hearing about your experiences in Africa. Hi Robert. Thank you. My wife and I were planning our second trip to Italy on the plane trip home from our first trip. It is quite addicting. We've now been four times and I'm pretty certain that we'll go back for more. We really have found it easy to love Italy. Thanks so much for stopping by, best to you also. This is a great article... It make my heart long for another trio to Italy. My wife and I are really in love with Italy and really appreciate your insights. Best to you and yours. Hi adevwriting. Thank you. It certainly is. Have a great day. I will put these places on my list !!!! Hi Chantelle. Thank you. That's the thing about Italy, it's addicting. I am always looking forward to returning. Hi Gsbhullar. Thank you. It certainly is. Certainly one of my favorite destinations. Great article. I have been to Italy but it's been over 10 years now and your article made me long to go back! Hi Emily. Do it! I know of no one who has regretted a trip to Italy. It's beautiful and the food is amazing. Hey Mike. Yep, could probably come up with at least a 100, maybe more :) Thanks so much for stopping by. Have a great day. That's been 10 great reasons to visit Italy and I bet you can find another hundred! Great hub! Hi Vicki. Thank you. You might say I'm addicted at the moment. There is so much to love about Italy. Just met Epi a few days ago. Don't know how our paths hadn't crossed before but I love his enthusiasm here. Just another reason why I love HP's. Thanks so much for the visit, have a great day. Hi Colin. Thanks so much for helping to promote my Italy hubs, very much appreciated. I will be sure to check out Rose and also Vicki, as well as your extensive library. Love your cat's names. Have a great day. Hi Bill, this is a great Hub, and I love your pictures! It is always so meaningful when you can use your own! Congratulations on this great tour of Italy, and I'm sure it will inspire many to take the trip themselves! Your love of the country really shines through. Ps. Epi reminded me to check out your Hub! Hi Colin. My pleasure to meet you and thank you so much for the nice comments. You had me laughing out loud :) As you can probably tell I have an addiction to Italy at the moment. I have seen the movie The American with George Clooney, loved it, although I can't recall the name of the village either. Every time we plan a trip to Italy we try to watch a few movies that are set in Italy. It just helps to get us in the right mood. Thanks so much so stopping by. I will extend a follow to you and look forward to reading your work. Greetings from western Massachusetts. Oh my goodness Bill what a gorgeous hub presentation - by far one of the best travel hubs I've ever seen and read. It's a work of art in itself and I will have to call you Maestro Bill from now on, lol, so yes I can definitely think of 10 good reasons for posting and linking your epic hub tribute to Italy on my facebook page for all to see and read and I will send this page directly to my buddy Miss Vicki who is quite a world traveler herself. It's so nice to meet you Bill and your world class photography takes my breath away. Sending to you my warmest wishes from lake erie time ontario canada 8:43pm from Colin and his cat crew. p.s. - there is a film called The American starring George Clooney which takes place in a very pretty Italian village, not sure of the name but the film is highly recommended. Hi Kas. Thank you for the nice comments. The food is definitely worth the trip to Italy for. I haven't found too many places here in the northeast that compare. Many thanks for the share, FB, etc. Have a great day. My friend, this hub captured my heart particularly because of the sights and food. My wife is from Italia and she is always going on and on about how american Italian food isn't truly Italian. As a matter of fact the only place we've found that features truly authentic italian food is a little place in Destin, Florida. I loved this and I'm sharing this one even on facebook my friend. Great job. Hi carter. You know, to this day that panna cotta with the fig sauce is far and the way the best dessert I have ever had :) You make an excellent point, and to be honest a few friends here have told me the same thing, you go to Italy for the food, so it should be number 1. Thanks so much for the visit and the share, vote, etc.... Have a wonderful day. Ciao. I cannot believe I missed this stella hub Bill.. Truly awesome and informative, I loved every bit of it!! except for one minor disagreement that I would have to put Food in no 1 spot!! especially with sublime shots of panna cotta with fig sauce!!! I just want to go there right now! Great hub. Although I've got France on my summer agenda, Italy is in my future. Thanks for the inspiration. Hi FreezeFrame34. That's pretty funny :) I've never been to Charleston, will have to add it to the list. Thanks for stopping by. Hi Glimmer Twin. Thank you. It really is worth the effort to get there. I very much appreciate the nice comments and support. The title definitely fits; you surely do have ten REALLY good reasons to visit Italy! By the way, Charleston South Carolina is old, floods constantly, occasionally smells funny, but people still love to travel here too! If this hub and your terrific photos does not convince people to go to Italy then I don't know what will. Awesome hub! Hi sweetie1. So glad you enjoyed the hub and photos. It's actually much more beautiful and amazing than photos could ever show. Rome is unbelievable; the ruins, the museums, the monuments, the piazza's, the food. What's not to love. Hope you get there soon. Hi there breakfastpop. If there is a will, there is a way. If you really want to go you will find a way. You will not regret it. Do not fear the TSA, just doing their job. Thanks for the vote. Have a great day. Hi Arun. Thanks for the visit and glad you enjoyed the hub. Italy is wonderful with so much to offer, hopefully you get there someday? Thanks for stopping by. Very very beautiful Pictures. Really loved the hub and yes you have convinced that if i have enough money someday i would travel to Rome. Voted it up, interesting and beautiful. What an awesome hub. I would love to visit Italy. I have been to England and France, so Italy would be next on my list if it weren't for my total fear of the TSA! Up and awesome. Very nicely presented hub with lovely pictures. How I wished I could be there right now to enjoy the beautiful country! Thank you. Hi rajan. Thank you. Italy was on my bucket list until we finally made it there a few years back. I'm sure you'll get there soon enough. As always, many thanks for the share, pin, etc. Have a great day. Hi wqaindia. When that opportunity presents itself, jump at the chance, you will not regret it. Italy is beautiful in so many ways. Many Thanks for stopping by, have a great day. Hi Brenda, Thanks for visiting Italy with me. You will get to Italy someday, and when you do you'll love every minute of it. Happy Easter and thanks for the pins. Good Morning Alicia. Happy Easter. Thanks for the kind words. Hopefully some day soon we can read about your experiences in Italy. Thanks for the share, have a great day. Hi Bill, what a beautiful country! These reasons are enough for me to put this on my bucket list. Fine job here and I just wish I had a way to fly there right away! All the way up, shared and pinned. Thanks for an insight to visit Italy. While I was reading through I felt like visiting Italy. I would like to visit Italy if I get slightest opportunity. 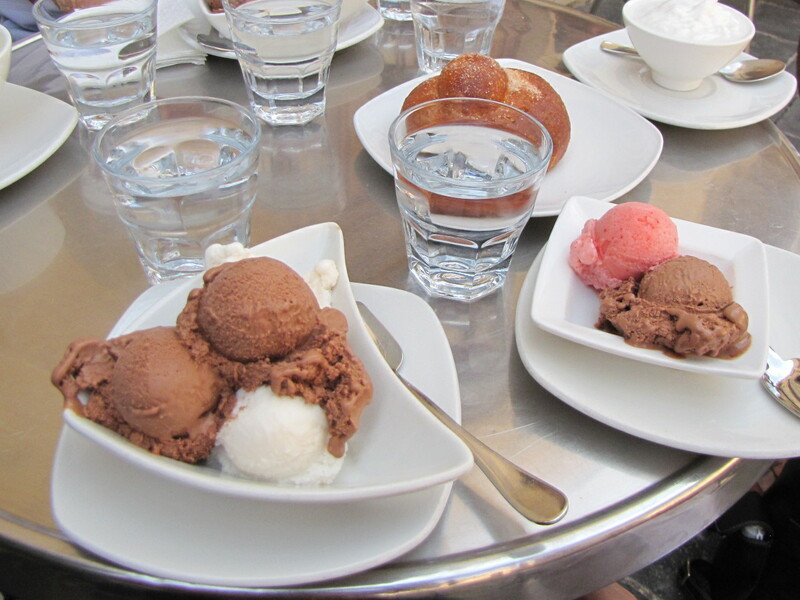 Someday I will make it to Italy and sit down at a table filled with bowls of gelato in a piazza outside. Heavenly! I will come back to read and look at this one over and over again. Thank you for sharing. I pinned a few of the pics too. Such a joy. This is a beautiful hub, Bill. I would love to visit Italy, but I already decided that after reading your previous hubs about Italy! I love your photos and descriptions. I will share this hub. Hi Shadann. Thanks for stopping by and welcome to HubPages. Appreciate you taking the time to read and comment. Have a great day. Hi Kelley. Reason number six is a big, big part of the Italy experience. I love to eat so I'm in heaven when we're over there. They really do have the whole food thing down pretty good. Thanks for stopping by. Hi Debbie. Glad you enjoyed the tour of Italy. And so glad that you are planning a 2015 trip, you will love it. The planning is all part of the experience and fun so enjoy the process. Have a great Easter. Reason number 6 is enough for me, makes me want to pack a bag and walk out the door, straight to Italy! Wow Bill! What a great article! You provided some important information for the tourist who wants to "hit the high spots" of Italy. I'm already planning my 2015 trip! Hi silviuflorin. Thanks for the visit and welcome to HubPages. I couldn't agree with you more, there are at least 1001 reasons :) Very much appreciate the visit and best of luck here on Hubpages, It's a great community. Hi Bill. Yes I know Suzie HQ very well, she is my Italy buddy and I am very excited for her to be moving to Italy. I know she is very much looking forward to her move and loves Italy as much as I do. Between her and I we'll find a way to get you there someday. :) Enjoy the nice weather out there this weekend and have a great Easter. I am sure there are 1001 motives to visit Italy, although I have only visited Rome and Venice so far. Hi Joe. Your son was a lucky guy to have had the opportunity to study in Italy. We'll have to get you there some day? The Duomo in Florence is perhaps the most beautiful church I have ever seen. The view from the cupola is something that I will never forget. Thanks for stopping by and have a great weekend. Right on Carol. Ten and many, many more. I'm so glad you have had the opportunity to experience Italy. Having been you can understand my addiction to this country. I am always thinking about my next trip there. Many thanks for the vote, pin, etc. Have a great weekend. Hi Rebecca. Thanks for the nice comments, hopefully you get to Italy some day soon. It really is worth the effort, in fact I find it addicting. Have a great weekend. Hi srsddn. Thanks for stopping by, glad you enjoyed the visit to Italy. There are so many historical sites throughout Italy that one could spend months visiting them all. Thanks for sharing and have a great weekend. Hi Suzie. Thanks for all the great comments. We are all waiting for you to move to Italy so we can get a locals perspective. As you pointed out there is so much to love about Italy. It's really almost unfair to limit a list like this to just 10 reasons as there are hundreds that I can think of. Many thanks and happy Easter. Italy's Dept. of Tourism should be paying you buddy. What a great ambassador you are for that country. Love all the reasons and you can bet I'll visit Italy when I'm rich and famous. :) I don't know if you know the Hubber Suzie HQ, but she is moving to Italy in a couple years from Ireland, and she loves that country as much as you do. My son was blessed to have spent three months in Italy (and he also had a whirlwind tour of the greater part of the rest of Europe) while doing a quarter of his graduate work, and so reading your wonderful hub and reveling in all the beautiful pictures was reminiscent of the blog he kept during that time. Also, in my eBay work, I had the privilege of selling a lovely postcard of the Duomo. So seeing the picture above from a unique and firsthand point of view was thrilling. As always, thanks for sharing your amazing travel experiences with us, Bill! Ten and many more. It has been many years since in Italy and it still remains my favorite country to travel. The food..to die for, the different historic and museums. Loved the scenery and..everything. Great hub and certainly enticing to visit this country. Voting up and pinning. Wow, this is just an awesome travel review for Italy. I DO want to go someday, so thanks for the tips, especially for finding reasonable accommodations! Nicely summed up. It seems to have great spots for visiting and it seems each one has its own important. Those related to historical happening must be a priority. Thanks for sharing, thumbed up and shared. Awesome job as it is not easy as you pointed out! 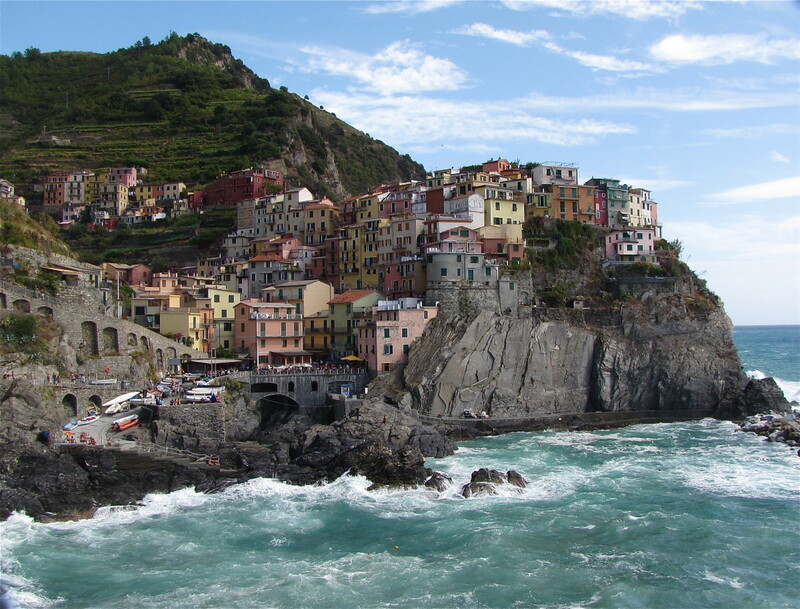 I think you did a great top 10 and Cinque Terre is a great addition many may miss out in such a list. My list would include Puglia obviously but even that is a job with so many reasons there alone. Food, people and cost are all essential top reasons to go to this wonderful country we both love so much and for all who have not been or are thinking of it, this article is full of the best reasons! Great job and many thanks for the links Bill, so much appreciated! All the votes, sharing everywhere and pinned!